Greater Wellington Regional Councillor Paul Bruce, has placed a motion on the Council order paper for Thursday 12th December, questioning Government support for a Transpacific Partnership Agreement (TPPA). • · Favouring suppliers who adhere to sound environmentally practices. 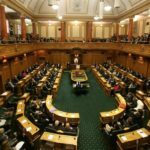 Cr Bruce said that local governments must be allowed to accept tenders from local suppliers even if they are slightly more expensive than overseas competitors as many local governments have done, or favour local suppliers if two proposals are equal as Greater Wellington Regional Council does. CTU Economist Bill Rosenberg says that a government procurement chapter of the Transpacific Partnership Agreement (TPPA) could stop future central and local governments giving an advantage to local suppliers to help economic development. 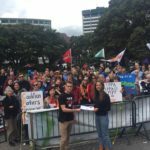 It could also prevent governments requiring suppliers to meet conditions such as paying a living wage, or health and safety initiatives being developed, or to meet environmental standard such as those expected of suppliers to Greater Wellington Regional Council. Cr Bruce said that his motion conditions its support on whether Councils can if they so choose, continue to adopt procurement policies that provide for a significant degree of local preference, or to require higher health and safety, environmental protection, employments rights and conditions, community participation, animal protection or human rights standards. “The Government must also tell us which government entities are being bound up by these agreements. Future governments can change domestic rules – but not if these international agreements are signed. 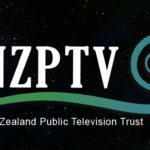 The Leaks about the TPPA that were released by Wikileaks today, say that the Government has agreed that TPPA procurement rules will apply to local government. We need to know if this is true, and what it implies for us. “Local Government needs answers to many questions before the TPPA goes any further,” Councillor Bruce concluded. The public is welcome to speak in support of this motion for 3minutes in Public Participation at the commencement of the meeting at 9.30am this Thursday, but they must notify Greater Wellington Regional Council Secretary ahead of time.